Kathmandu - Chairman of the Standing Committee of the National People's Congress, Zhang Dejiang, has congratulated Speaker Krishna Bahadur Mahara for his election to the post. 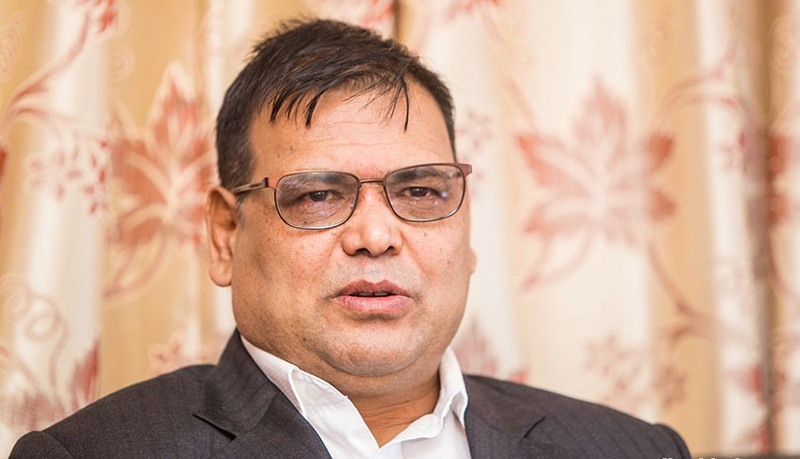 Sending a letter, Chairman Zhang congratulated Speaker Mahara for his election to the post of Speaker of the House of Representatives unopposed, said Mahara's aide Rahul Mahara. Paying a courtesy call on Speaker Mahara at the Federal Parlaiment Building, New Baneshwor today, Chinese Ambassador to Nepal, Yu Hong, handed over Chairman Zhang's letter to Speaker Mahara. On the occasion, Speaker Mahara and the Chinese Ambassador held discussion on various issues of mutual interest including further strengthening Nepal-China relation and expanding bilateral cooperation in days ahead. They also discussed on moving ahead by exchanging parliamentary experience of both countries. The Chinese Ambassador also congratulated Speaker Mahara for his election to the post unopposed and wished Mahara for his successful term.